As a kid I’ve always seen people stare at me, make rude comments, and tell jokes about how skinny I was. 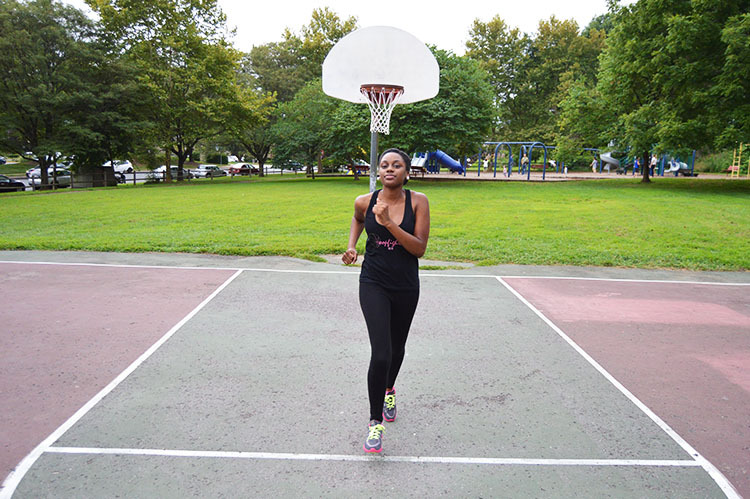 All of this created misconceptions that I had of myself: believing that I was too skinny, I needed to gain weight, and be thick and shapely like some other women. One comment that always comes to mind is “You shouldn’t be exercising, you’re already so small!” It’s a comment that always deterred me from exercising until now. I’m no longer that insecure little girl, I love the skin I’m in and yes I’m a member of the itty bitty committee, haha! On a serious note, I believe that no matter your size we all should live a healthy lifestyle, and of course do it in style! I’m not any health guru but I have been working towards a healthy lifestyle by exercising at least two times a week and incorporating better foods in my every day diet. I normally use the gym for my workout. However, sometimes my fiance and I will use the park to do some some running and some freestyle workout routines. Always live in style and that includes while exercising of course! 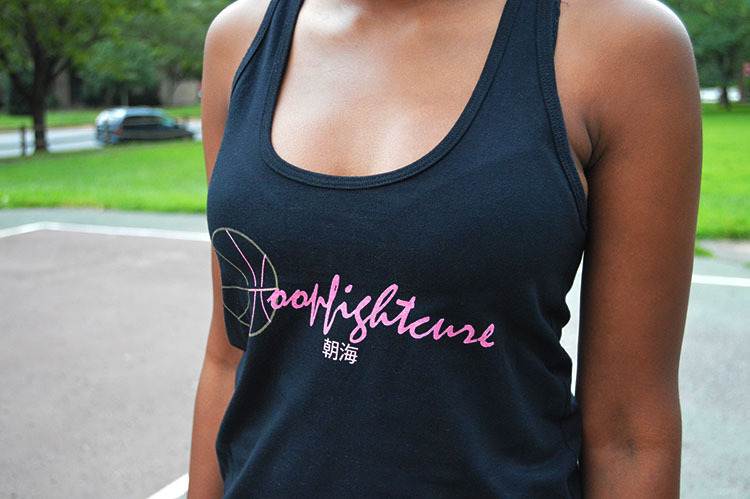 My new favorite top to workout in is the Hoop.Fight.Cure tank that is featured. I love the fit, the look, and even the message behind the creation of the tank is impossible not to love. 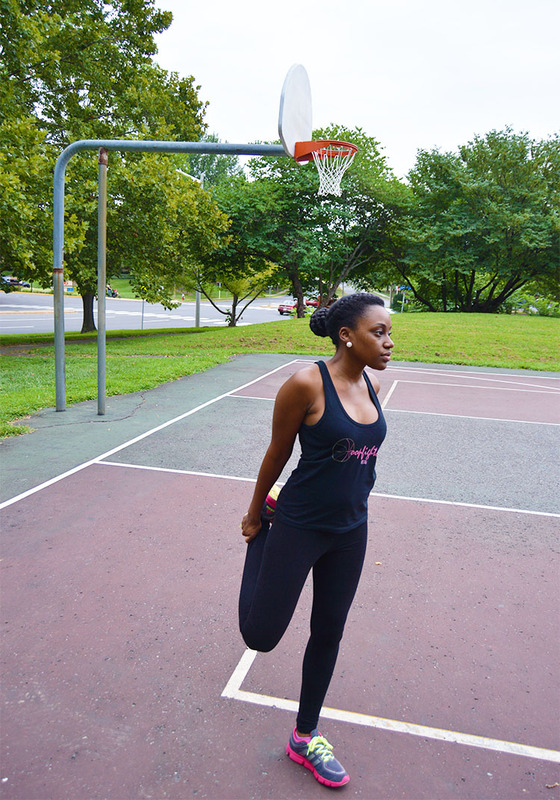 It’s a new company created by my fiancé Dom Parks that spreads breast cancer awareness. 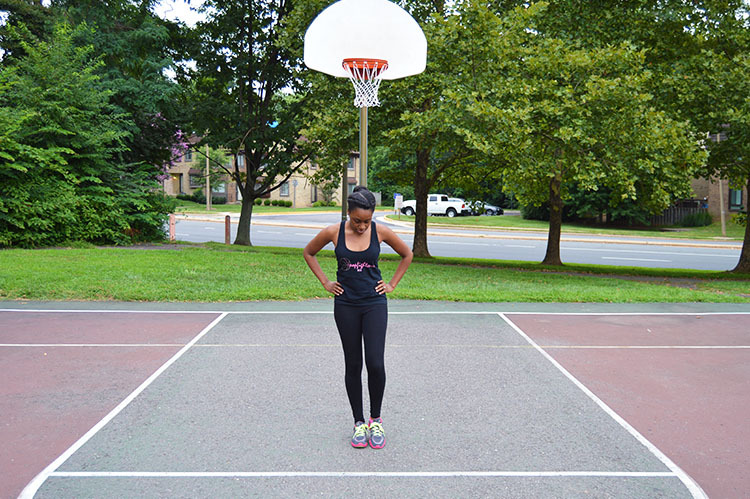 Join the movement today and look stylish in all your workout routines — I did! (DJS & STYLE tip of the day: Exercising can already be hard work, so have some fun with it by adding cool colors and clothing into your workout gear.) 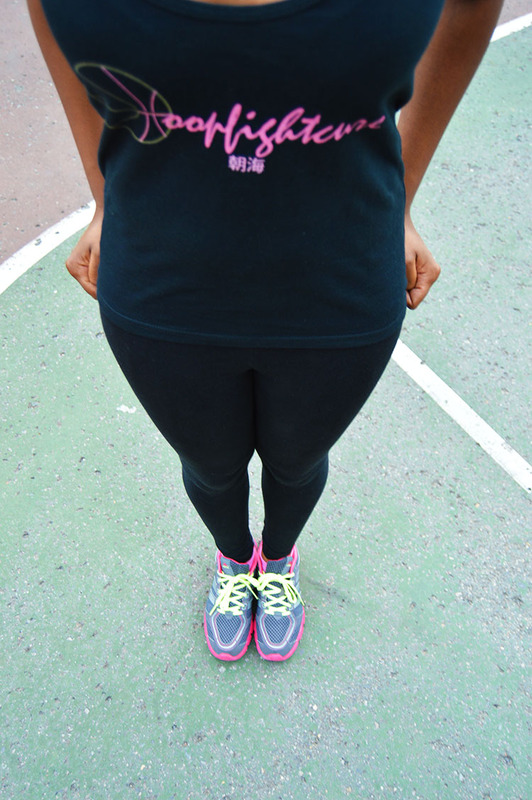 Any of the tops offered on the website for men and women would be a great compliment to any of your workout gear. So let’s live healthy and spread awareness while doing it! Yupp very comfortable look for working out. I love it! Girl, you are looking FABULOUS! Don’t let anyone tell you differently. You are such a beauty. It is so important to feel comfortable in your own skin, and I love the message of this post. Keep it up! Yes indeed it is! I’m so happy you enjoyed it. Thanks so much!